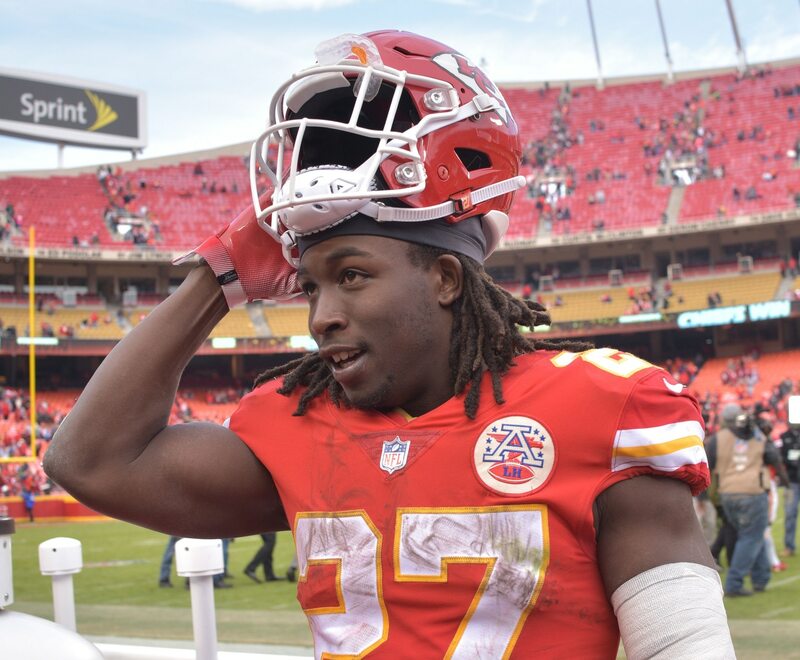 The latest Kareem Hunt news shouldn’t surprise anyone, but it once again highlights the dark underbelly of the NFL and the league’s hypocrisy. What we know so far: Hunt will soon be made available, and it seems he’ll have no shortage of suitors for his talent. Hunt is currently on the NFL’s Commissioner Exempt List — meaning he’s not yet suspended but cannot participate in any NFL functions. According to Ian Rapoport of NFL Media, the league’s investigation into Hunt will be over in time for the running back to hit free agency. He’s likely to be suspended six games to open the 2019 season, at minimum. Why Hunt is in trouble: The running back has a string of off-field incidents in which he’s alleged to have done violence toward others. Video of Hunt shoving a woman to the ground and then kicking her while she was down surfaced, prompting Kansas City to cut him. Another video from a second incident at a club shows Hunt being restrained by security following an alleged attack against a man at the club. Hunt is also accused of punching a second man at a resort in Ohio during the summer of 2018. The NFL likes to pretend: The league has supposedly taken a hard stance against men who do violence against women. Indeed, if Hunt were a role player with average talent, he wouldn’t even be given a sniff at another job in this league. If he were on the tail end of his career — like Ray Rice was when his shocking elevator video came into the light of day — he wouldn’t get a second chance. But he isn’t just an average talent. Hunt led the league in rushing as a rookie in 2017 and has game-changing abilities — both as a runner and a receiver. So, because he’s exceptionally talented, Hunt is going to get another chance — less than a year after being cut by Kansas City — to play in the league and earn millions in the process. The bottom line: The truth is, the NFL really doesn’t seem to care much about domestic violence or violence against women. What the league does care about is perception. It only cares about how people react. And the sad truth here is that, regardless of whether Hunt is a despicable human being who doesn’t have any qualms about laying his hands on a woman, if he can ball, fans will cheer. And that’s why the NFL doesn’t really care about any of this. That’s why Kareem Hunt is going to get another job.